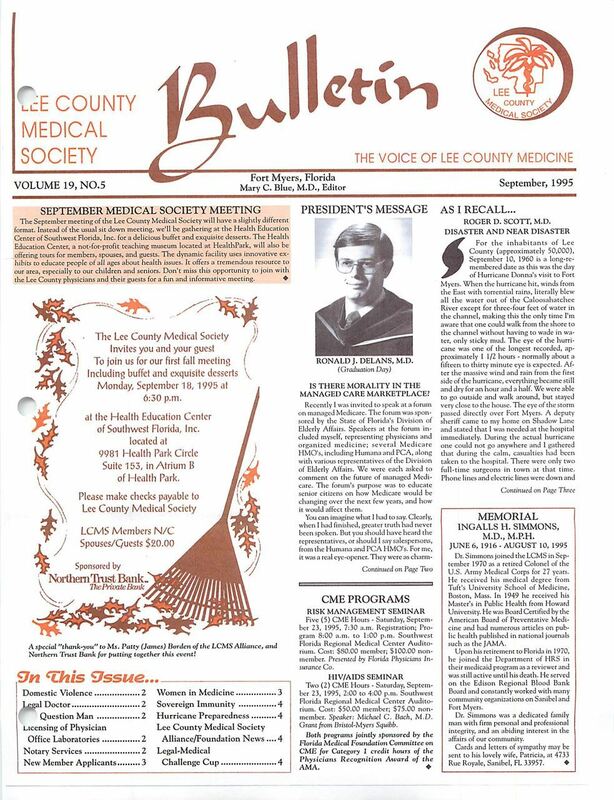 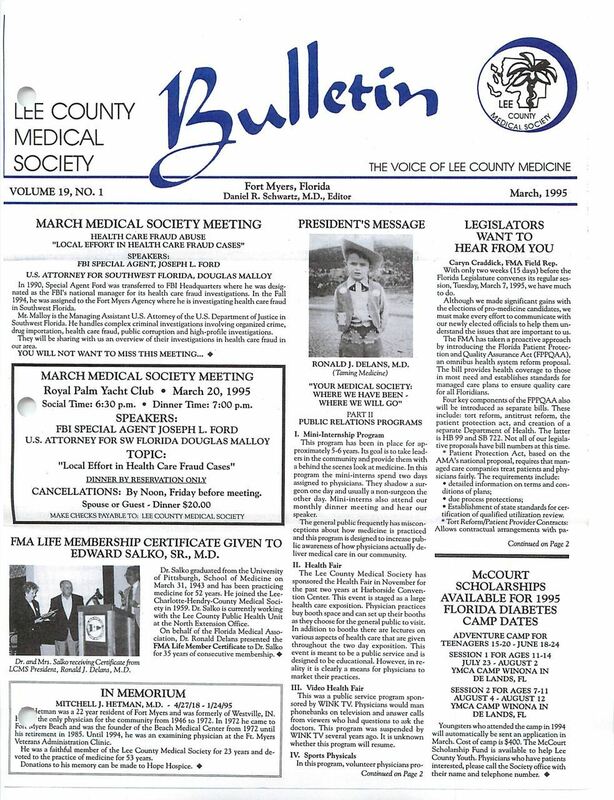 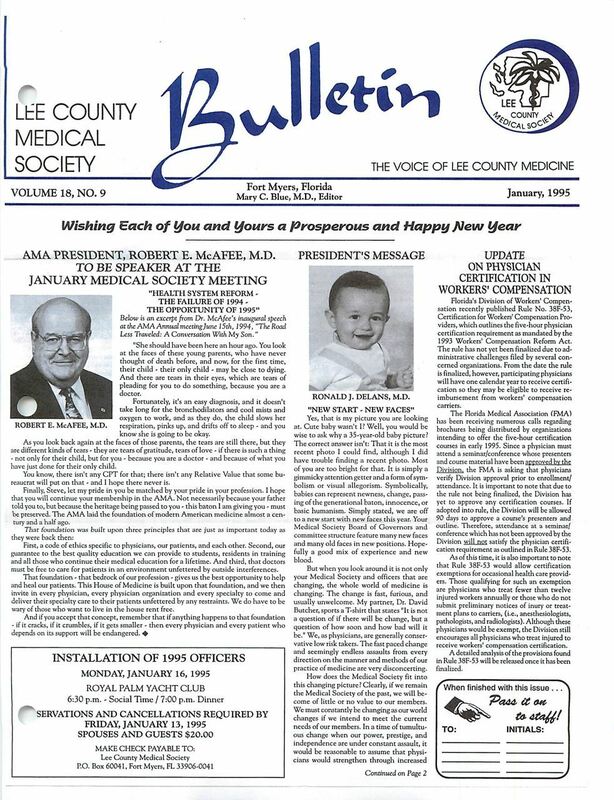 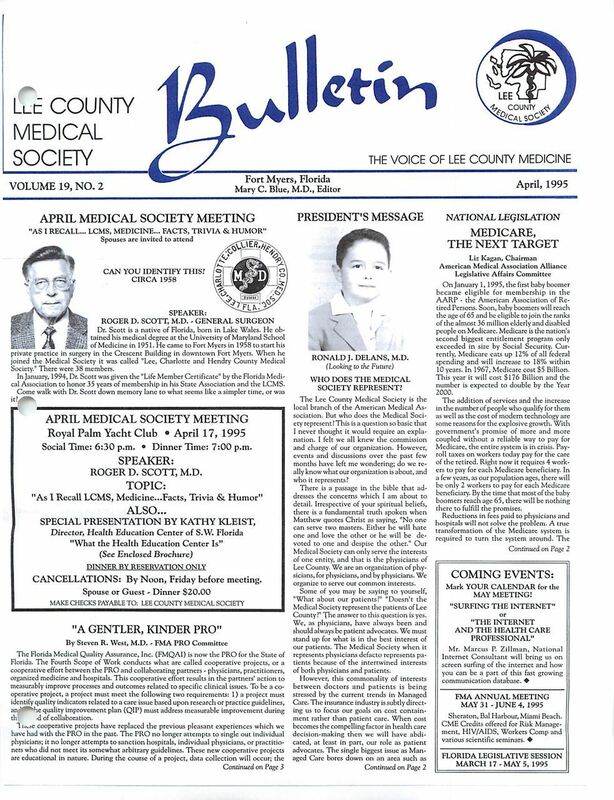 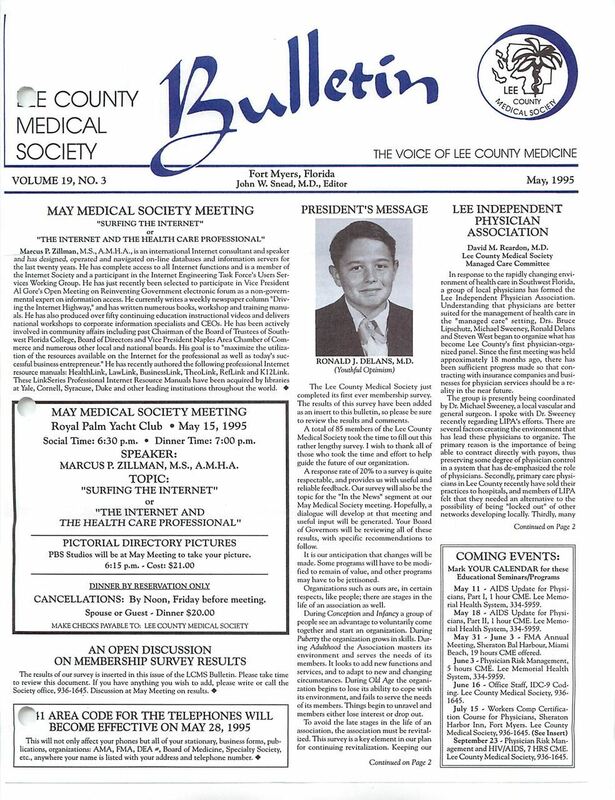 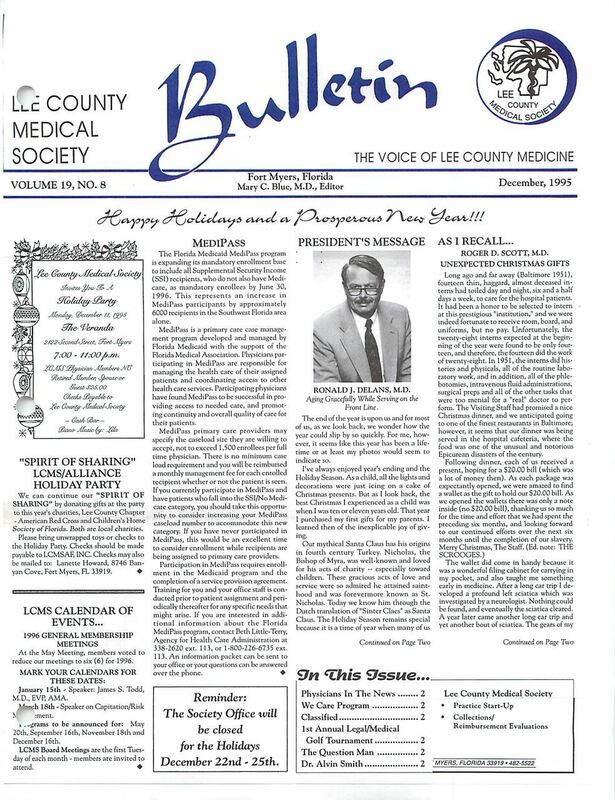 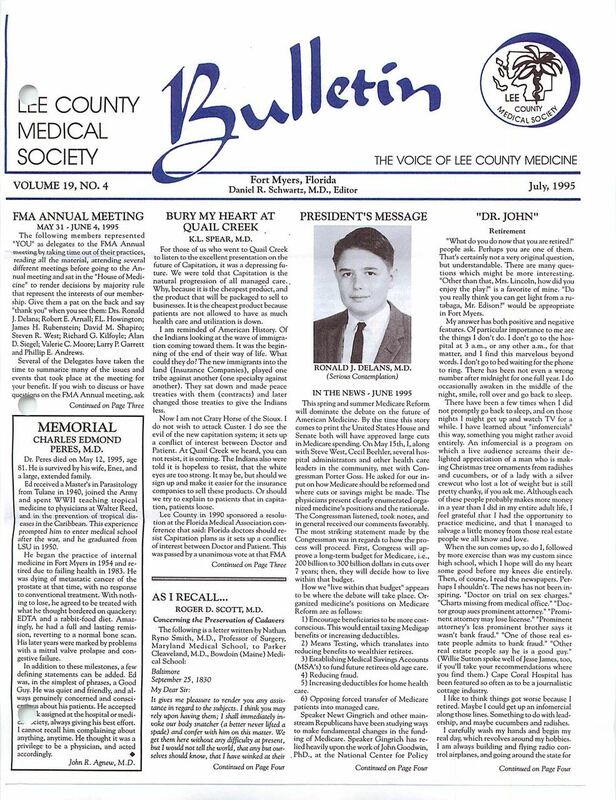 The Lee County Medical Society (LCMS) is an Organization Dedicated to the Health of our Community in Lee County, FL. 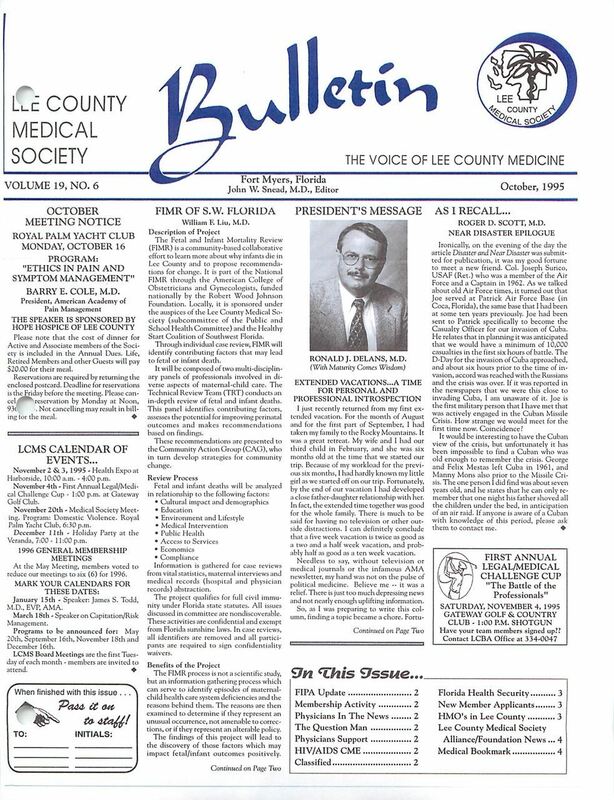 We are committed to providing the most caring, modern and efficient health care system available, offering over 745 active dedicated physician members ready to respond to your health care needs. 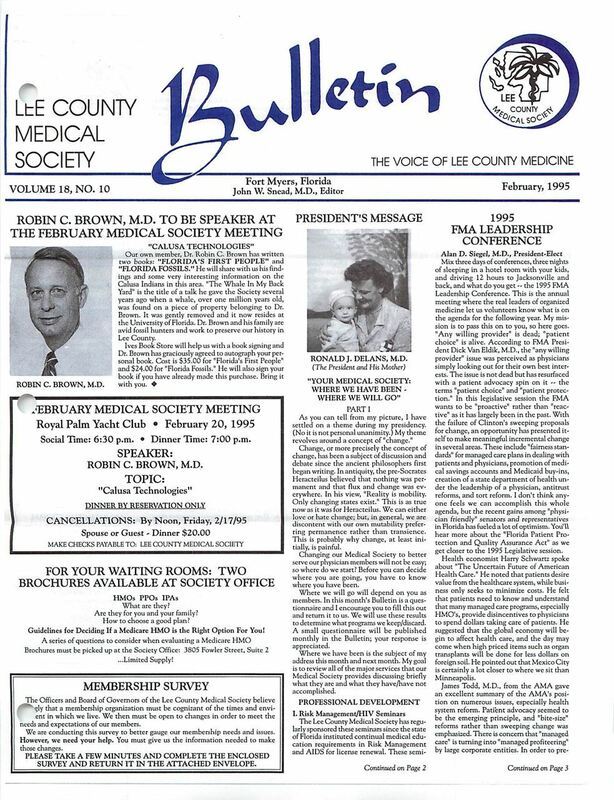 Our motto of Physicians Caring for Our Community is shared by all our members.